Request for us to begin managing & / OR marketing the Premises and all other services as set out in this Agreement during the cancellation period as set out in Schedule 9. If you are entitled to a fourteen day cooling off period as set out in Schedule 9 we will not begin performance of the service unless you have requested us to do so in writing. You may request us to do so by signing below. 4. You will NOT have to pay us a Commission at the point of any continuation, extension or renewal of it whether fixed Term or periodic whether or not we are instructed to act on your behalf (the “Renewal Commission”). After the initial fixed term we will charge a Renewal Commission of £0 [NIL] if the Tenancy is renewed whether or not we are instructed to act for the Landlord if the Tenant remains in occupation. 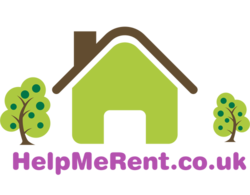 If HelpMeRent.co.uk Ltd have registered the Deposit there will be a charge of £20 associated with the re-registering of the Deposit, payable at the time of renewal. h. A supervisory fee of [NIL] [ VAT N/A ] of the total cost of any work in excess of £... [ VAT N/A ] but subject to a minimum fee of £0 [NIL] [ VAT N/A ] is charged for supervising the work. k. The administration fee for membership of the my|deposits is £0 [NIL] [ VAT N/A ] for the initial tenancy. Upon renewal a charge of £20 will apply. m. Request a minimum of 3X sets of keys from the Landlord prior to the Tenancy commencing. If you do not comply and we have additional sets cut to enable you to comply with this obligation charges will be made as outlined in the Additional Services.